Are you fond of using Facebook and looking to learn about new less talked features? Today I am sharing 6 latest Secret Facebook features that you must know to get most out of your Facebook account. There are many Facebook users who are fed up using same features of Facebook and want to explore something new from their account that is the reason that today I am writing this article for you guys. There are a number of hidden yet awesome features of Facebook which every user must know to improve their experience with Facebook. Facebook is most popular social networking sites which keep on updating new features. Even at times it gets hard for a power user to stay updated with new features & here I have compiled a list of FB features that one should know about. 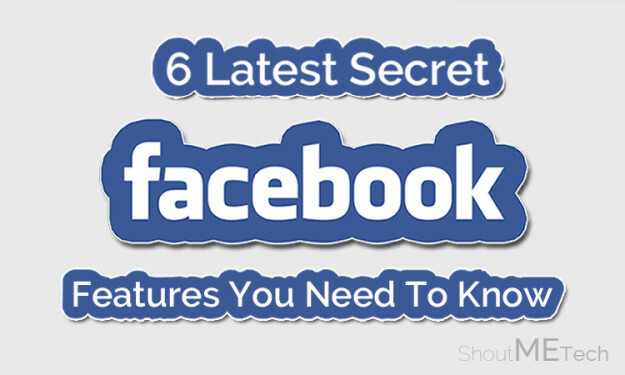 From here, I start the list of 6 secret Facebook features which you must know. I know you must be very much eager to know about them so without testing your patience more I am taking you right towards the features. 1. One-Time Password – Self-Destructive Lock! It is one of the best feature which I personally like. Users mostly avoid signing in their Facebook accounts on public computers or on computers which are easily accessible by any user as they are much concerned about their private stuffs. So to overcome such situation, Facebook allows you to create one-time password to login your account and that password will not be used again to sign in your account. You need to send a text “otp” to 32665 from the number which is added on your Facebook profile and then you’ll receive an eight digit passcode which you can use to login your profile. That passcode will last for 20 minutes and will not be used again which is why I’ve named it a self-destructive lock. Most of the users don’t like to announce everything, particularly about their relationship status. It is good to make others part, of your happiness but it is little annoying and weird to share the news of your breakups, isn’t it? First of all, Sign in to your Facebook Accounts and go to your Profile by clicking on your name. Now click on About button on your timeline. Then from the sidebar, Click on Family and Relationships. Then come to Relationship box and there you’ll see a little grey world map icon. Simply click on it. After that, it will give you different options for your relationship, you only need to change the Public or Friends settings to Only Me. In last, Click on Save Changes button. 3. Remove unimportant Apps – Light up your Account! There are many apps that we use along with our Facebook accounts internally, and externally and sometimes we don’t even remember the names of such apps. You must remove such unimportant apps from your Facebook profile as they keep on sending you and your friends notifications and keep filling up your timeline. So, if you want to remove such apps that are of no use now, then Facebook do carry a feature for it which is yet hidden from many of the users. First of all, Sign into your Facebook account and go to Settings. Now from Settings, click on Apps from Sidebar. 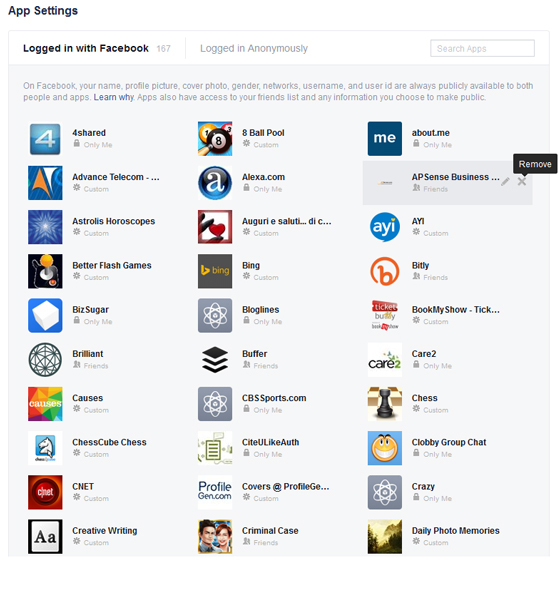 After that, you will have a list of apps that you have played with your Facebook profile, you need to click on Show All to view all the apps linked with your profile. After that, you may delete each app by taking mouse cursor on app’s icon and then click on X icon. 4. Turn Off Individual Notifications – Stop Getting Annoyed! Whenever anyone tags you in his/her post along with 19 others then you’ll be notified for every single like and comment that is annoying. If you don’t like it too then, Facebook gives you the liberty to turn off notifications for individual or particular post. So, if you want to turn off individual notifications then follow these steps. First of all, open world icon (which you use to check notifications on your wall). Then click on X button in-front of notification that you want to turn off. Ones you have clicked the X button then you’ll stop receiving notifications for that particular post. 5. Track your Login Location – Look Who is Secretly Logging into your Account! This sometimes happens when somebody else is using your account secretly, and you don’t know about it. 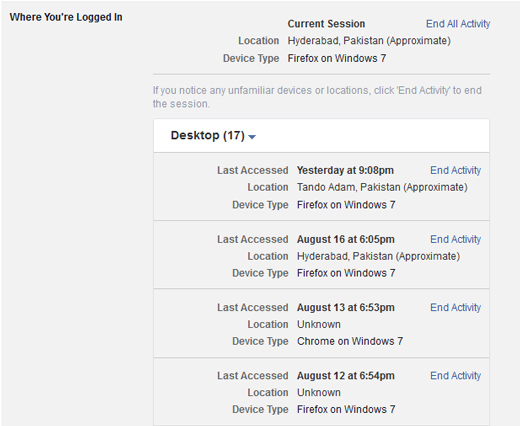 But now, Facebook has added an awesome feature that will help you to track your login location. It will give you the complete details that from where your account is being logged in. I am sure you all must be eager to know about it so without taking your more time get to the below steps to explore about its solution. Sign into your Facebook account and go to Settings. Click on Security from the sidebar and then Click on Edit along with Where you’re Logged In. After that, it will give you complete login locations of your account. 6. Security Checkup – Test your Account’s Security Level! 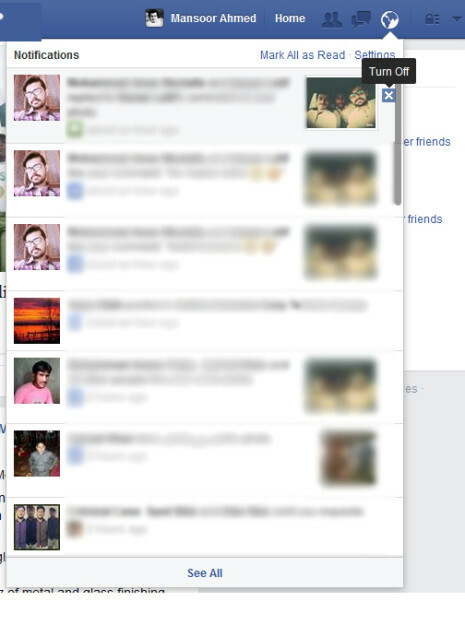 This is another feature of Facebook which let you check your account’s security level. Security Checkup not only checks up your account’ s security but also suggest recommendations to make your account stronger. It is really an easy task to perform security checkup, you only need to go to this link and follow the on-screen notifications. 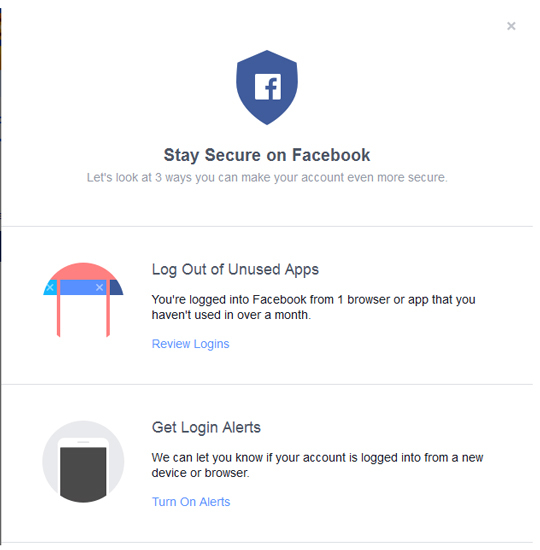 This checkup will help you to make your Facebook account safer than ever before. If you are facing any trouble while availing these features, then lend your confusions in the comment box. I shall be answering all your queries shortly. And, if you have liked this article then don’t forget to share this with others. How are these secret features? Do share your experience about them, it will be fun to hear from your side. hello.. Harsh Thank you for sharing tricks in Facebook .. Now I will also use these tips & Tricks. This secret should use by anyone who is using facebook because it comes reduce hacking turnover. I’m using some of the tools and now looking to use more. Thanks for sharing such nice informative info. Good list of Facebook latest features. Thanks for the tips that’s what i need Track your Login Location it’s good.